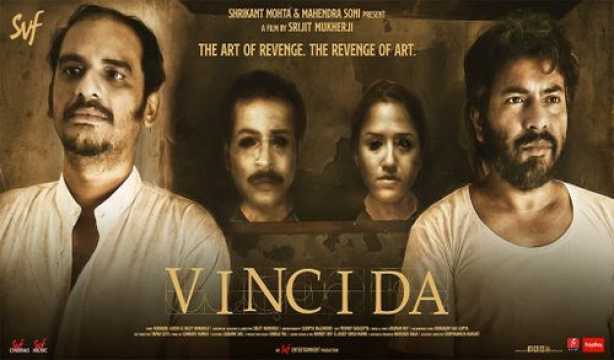 Srijit Mukherji’s Vinci Da is thoroughly engaging and delivers some memorable cinematic moments as well. A story of an honest and talented artiste and a psychopathic criminal has been juxtaposed with a dedicated cinematic composition, with optimum intensity in the suspense elements. Yet, it is the crisis of the make-up artiste that strikingly appears as relatable and real than the narrative of the criminal until the climax where the highly moralistic artiste is reduced to a selfish common man, who stays unaffected by all the crimes until someone of his own acquaintance becomes victim of it. 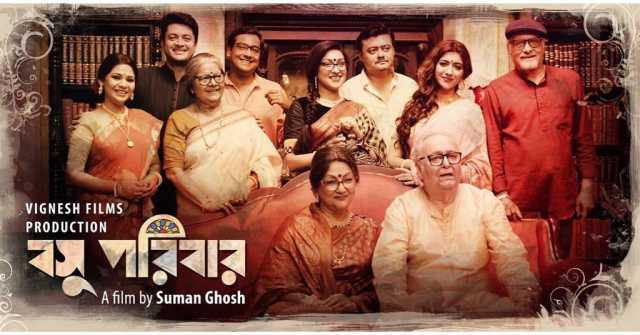 The film can boast of two hard-hitting performances by Rudranil Ghosh and Ritwick Chakraborty. When the two actors are on screen together, it is hard to take eyes off either of them. While Ghosh’s character of Vinci Da, the honest and extremely talented artiste, is better written, it is Chakraborty who lends life to his character, which is weird, cold-blooded and psychotic with a terrible sense of morality and justice with his seamless performance. An ardent admirer of Leonardo Da Vinci, Vinci Da is an artiste and has mastered the skills of make-up since his childhood, inspired by his make-up artiste father. 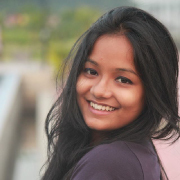 He is in love with Jaya (Sohini Sarkar), a simple girl, who lives under the strict supervision of her father. He loses his opportunities to work in the film industry for his uncompromising attitude, but he peacefully keeps on practising his art, without much expectation, until he is visited by a man called Adi Bose (Ritwick Chakrborty). Bose deludes him with an offer to taste his expertise on prosthetic make-up on himself and eventually, as Vinci Da succeeds, the latter finds himself trapped in a plan by Bose that turns his life upside down. The progression of the story seems fine till now, only Vinci getting immediately convinced of Bose’s offer to be from the film industry irks a bit. It is the way Bose manipulates Vinci seems horrific, shrewd and engaging. The delineation of Vinci’s crisis of choosing between the hunger of a make-up artiste and paying the price with sacrificing humanity is done with a lot of patience and it grows organically with the plot progression through Vinci’s internal conflicts and helplessness. Bose too has a journey since his childhood that depicts the origin and growth of his psychopathic tendencies, sharpness of mind and desperation. His notion of crime and justice is dubious and it contains the element to baffle the audience. The way each time he designs his plan to deliver justice appears sickening and shocking as well. However, as stated before, it is the interactions between these two characters who are actually poles apart, are written in layers and also create an inescapable ambience of intrigue and thrill. Bose's philosophisation of his acts and the desperate attempts of Vinci to convince himself that he is doing no harm to anybody by assisting Bose, are the heart of the content. The portion of the story on the fate of an honest and dedicated make-up artiste is originally written by Ghosh himself. The rest has been conceived and given the cinematic form by Mukherji. Their collaboration seems to work until the climax, where the twist falls low in terms of the expectation it raises throughout the plot. The ultimate act of revenge serves appropriate poetic justice, but the ground on which it is done could have been conceived differently, to retain the dignity of the make-up artiste that is an important aspect of the story. 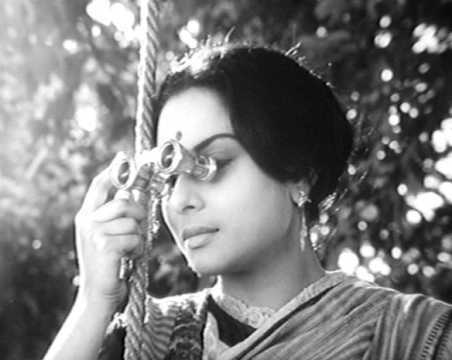 Ghosh’s act in the film has a lot to do with his expressions and the actor did justice to each of Vinci’s moments of feeling temporary satisfaction in his art work, romancing and finding solace in his girlfriend’s company amidst all the confusions and then finding himself in an inescapable situation — a terrible fate that takes away his joy from his ultimate source of satisfaction. What happens when an artiste is taken away from the right to take pride and feel satisfied of his own excellence? On the other hand, Chakraborty is smart and it is his glaring eyes that sometimes send off the message that something is not normal about his beliefs of which he is fully convinced. His behaviour is subtly erratic as it appears normal to him, but not to other people. Chakraborty creates this aura of cold-blooded confidence so masterfully that he wipes out all the traces of turning sane at any point in the story. Riddhi Sen seems to have captured the pulse of Chakraborty’s performance instinctively and there is a continuation between the performances of the two. Though, the opening scene appears a bit amateur, Sen, in his brief performance, sows the seed of the potentials that Chakraborty exhibits later. Anirban Bhattacharya plays the ill-tempered cop with a dramatic performance, matching the intensity of the other two lead actors. His character doesn’t have too many shades yet he leaves a mark with his dominating presence in a few scenes. Sohini Sarkar gets into the skin of the stammering girlfriend, who is not exceptionally graceful and rather simple at heart. Her performance is impactful in the scene nearing the climax that could have been written better. 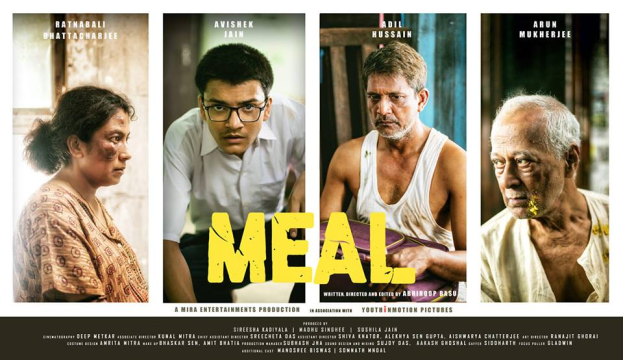 Aryann Roy too is quite natural in his brief performance as the spoilt son of a minister, especially in the scenes of interacting with Bhattacharya in the cell. He also manages to strike a smile during the drunk and drive accident scene, which hints that the smile is not his. Mukherji deserves credit for retaining a compact pace which never allows the audience to wait for a new twist as it keep them on the edge throughout. The scene in blue light in the darkness, where both Bose and Vinci stand together facing the mirror, with Bose slowly manipulating Vinci to his ideas is one cinematic moment that remains ingrained in the mind. The use of a mirror, speaks volumes as it shakes up Vinci’s notion of the significance of honesty and morality in an artiste’s life. From that scene onwards, Vinci starts doubting his identity as an artiste. Sudipta Majumdar has done a fitting job of capturing the pulse of the narrative, using close-up shots during interactions between the protagonists and rapid camera work during a chase. He also brings alive a sense of dislocation in Vinci’s normal life in his dimly lit shabby room with his apt camerawork. Indraadip Dasgupta’s background score plays a major role in raising the dramatic intensity in crucial scenes and retaining the smart and suave approach of a thriller. In the middle of the narrative the prosthetic looks created by Vinci are so real that they could not have been done with prosthetic make-up for the sake of the story. However, in the end sequence there seems to be a lack of balance as then the disguise of Jaya and Vinci can be easily found out as done with prosthetic make-up. Vinci Da delivers a mixed experience in terms of expectation, but manages to engage. It also raises various questions on the ethics and objectives of an artiste at the hands of fate. Vinci Da also delivers a platform for two equally brilliant performances that will be hard to ignore or miss out.